Proving that there’s no mission quite so impossible as trying to finish a big-budget action movie when your star keeps slamming his brittle, 55-year-old man bones into the scenery, ScreenCrush is reporting that Tom Cruise may have once again dinged himself up on the set of Mission Impossible 6. 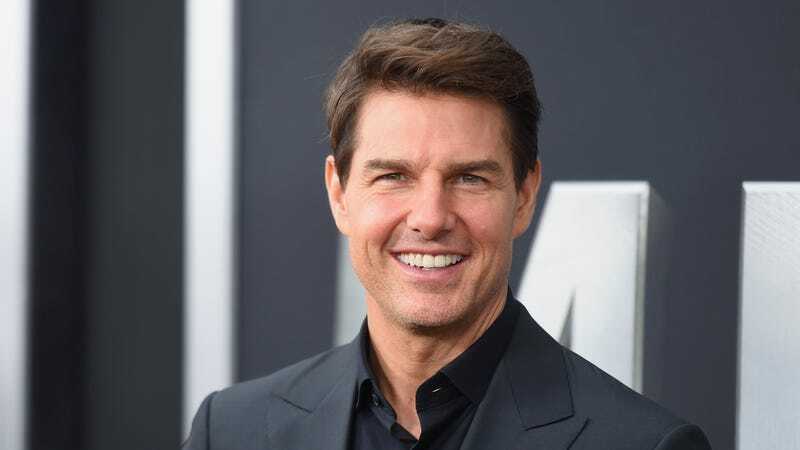 The film just recently started back up production this week, after Cruise—who’s notorious for doing as many of his own stunts as possible—smashed up his ankle in a motorcycle crash back in August. But TMZ caught footage today of what appears to be another biffed stunt, leading us to (possibly preemptively) declare this whole thing just doomed as all get out.